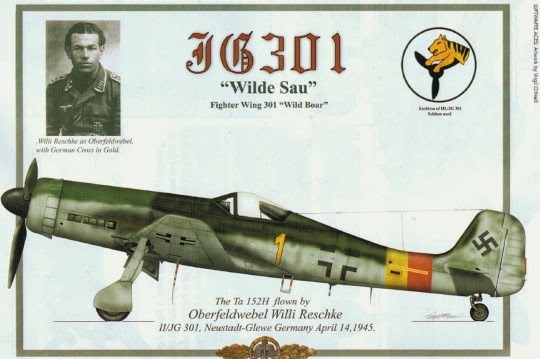 Flying the Focke Wulf Ta 152, the ultimate piston engine fighter. It was to be nearly three years after initial reports of the standard Fw 190 A model’s performance shortcomings had first arrived in Bremen before service deliveries started of the ultimate Fw 190, so radically different in external appearance and performance that it was re-designated ‘Ta’ after its famed designer, Kurt Tank. The H model of the Ta 152 was the end of the line and, credited with a maximum speed of 472 mph at 41,000 ft, came close to the limits of what was possible using a piston engine.